Reduce caregiver burden, improve family satisfaction and extend aging-in-place. Trualta has adapted professional-level healthcare training for the family member audience. 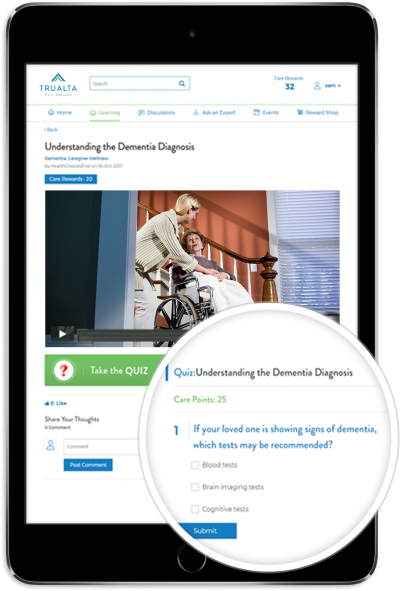 We deliver the training via an informal and interactive online learning environment, and tailor the learning to each caregiver’s situation. Quizzes and activities promote participation, and the system incentivizes engagement with a gamified rewards system. This course has audio. Please turn on your speakers or use headphones. 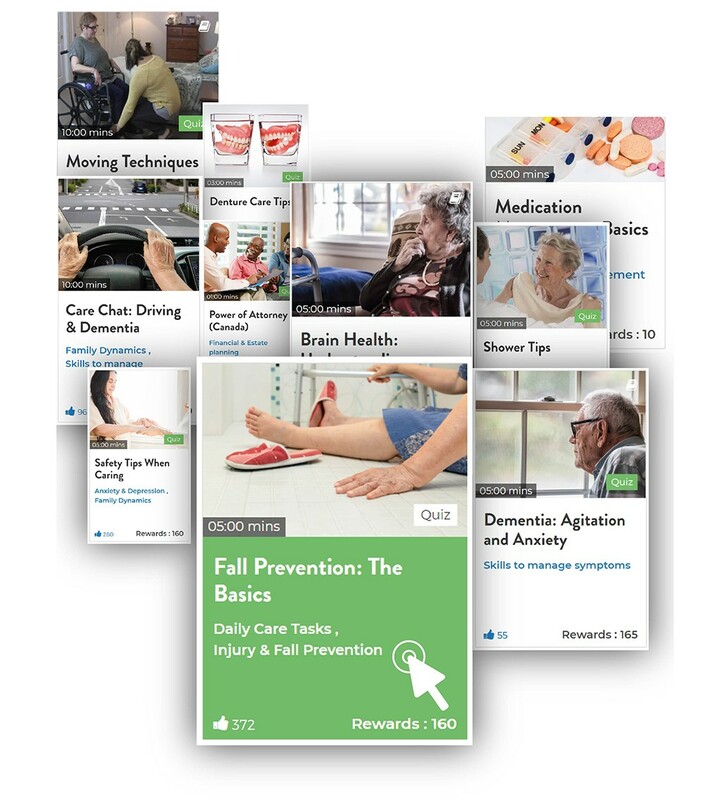 Trualta’s Aging & Brain Health Series helps you develop skills to manage a loved one’s changes in memory, behaviour and cognition. 1 What kinds of verbally aggressive (responsive) behaviours may you encounter? 2 What types of physically aggressive (responsive) behaviours may you encounter (all answers in each option must be correct)? 3 What is a preferred way to approach someone who is aggressive (responsive)?